US Air Force Academy spokesman Lt Col Allen Herittage has delivered email statements to the Colorado Springs Gazette regarding the arrest of a US Air Force Academy cadet who allegedly video recorded female cadets and a women in a Texas A&M University bathroom. According to The Gazette, the 19 year old freshman cadet is being held in pretrial confinement at the Divide lockup in Teller County as academy officials determine the facts. Lt. Col. Herritage sought to make a clear distinction between this case and recent incidents in which Marines and other US service members were circulating photos of naked female comrades in a Facebook group. “Victims were not readily identifiable in the photos that were taken, and there is no evidence that any of these photos have been distributed beyond the cell phone of the individual who took them,” Herritage wrote. Air Force Academy cadets who contacted The Gazette stated that there were more than a dozen pictures of disrobed classmates found on the arrested cadet’s cellphone. These cadets asked for anonymity because they weren’t authorized to discuss the case. KBTX Television obtained a police report on the alleged Texas A&M incident. 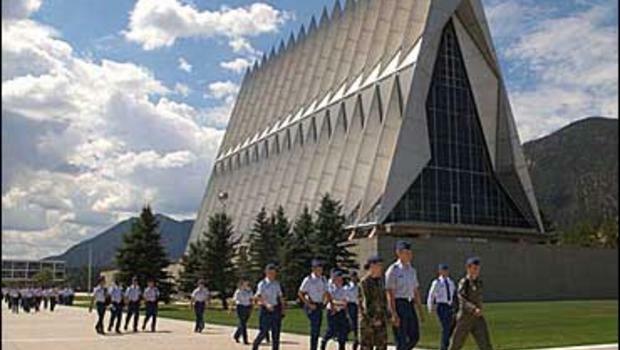 Be the first to comment on "Cellphone Peeping Air Force Academy Cadet Arrested"